Bring in your student ID to get a rate of $9 for one hour or $15 for two hours! We will be closed on Sunday April 21st. Happy Easter! Sign up for our email newsletter to be notified first about the fun happenings at our urban-style trampoline fun center. 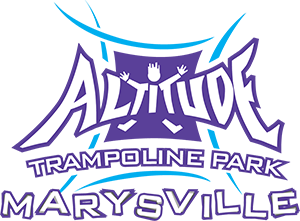 Like Altitude Trampoline Park on Facebook and follow us on Twitter for exclusive deals and events! All jumpers of Altitude Trampoline Park must sign a waiver to participate. Jumpers under the age of 18 must get parent/guardian consent and sign-off. Click here to fill out our online waiver so that you can head straight to the courts when you get here!